Some of our customers however are experiencing an error while others are not. 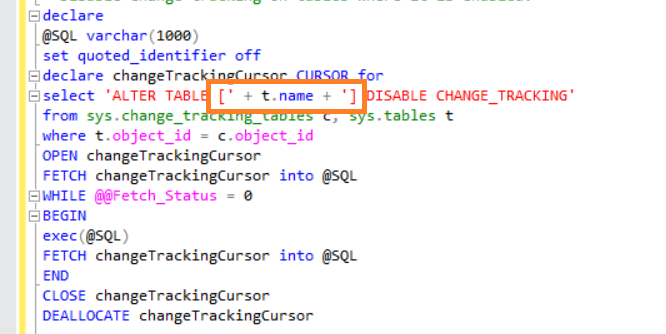 Incase you get the vague 'Invalid Syntax' error as seen below. This is due to dynamic SQL which has some kind of space in it likely, which can be corrected by using brackets [ ]. Please make the following changes.